Aquatic CSM1600RC-WH White 60"x36"x90" Steam Shower with Center Drain. "Thinking Outside the Tub", Aquatic's motto and inspired designs set the benchmark for the industry nationwide. Aquatic has a large line of products that range from jetted bathtubs with soothing water streams to sectional showers with accessible and safe features for users. 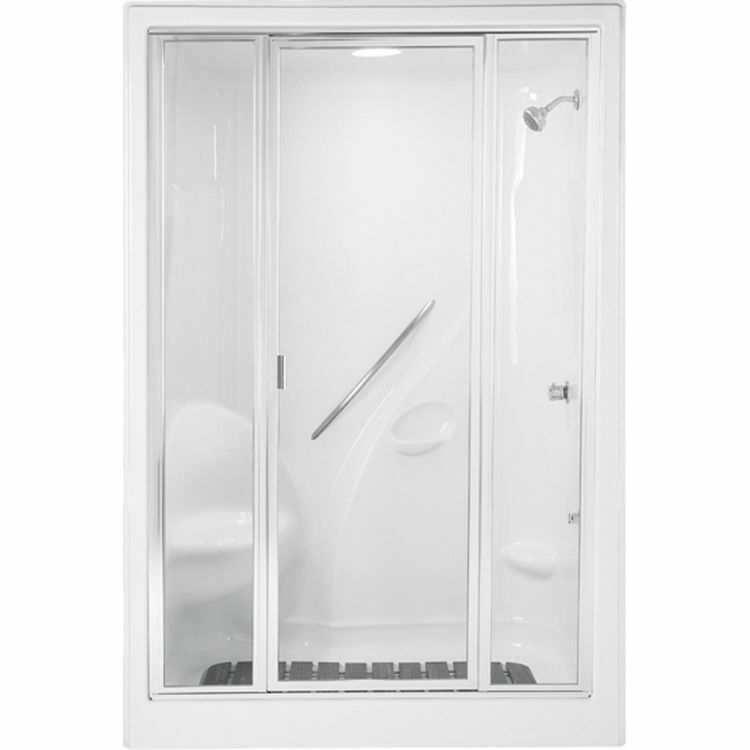 This Aquatic CSM1600RC-WH White 60"x36"x90" Steam Shower with Center Drain is designed with various features that are guaranteed to maximized comfort for all users. This Aquatic CSM1600RC-WH White 60"x36"x90" Steam Shower with Center Drain brings the preferred features from saunas and showers and combines them into a practical, everyday product. This Steam Shower features a pre-plumbed steam generator, molded toiletry shelves, grab bars, electronic controls, LED lighting, slip resistant floor, and standard steam door. This Steam System will take your bathroom to another level of functionality and comfort. Backed by Aquatics 5-year limited warranty. Shipping Dimensions 36.0" x 60.0" x 90.0"
Dimensions: 60" x 36" x 90"